India vs Australia – One of the most endearing things of us human beings, is our ability to tell stories. Most of these popular and long standing stories have been about epic rivalries. Be it Rama vs Ravana in the Ramayana or Pandavas vs Kauravas in Mahabaratha. Cricket also has its fair share of stories that talk about such epic rivalries that have endured the test of time. The Ashes and India vs Pakistan are rivalries that have been storied over many years. While talking about such rivalries, the cricketing rivalry of the new millennium has to be that of India vs Australia. Granted that the Ashes and South Africa vs Australia have produced some high quality cricket in the 2000s, but the drama in the India vs Australia test series have been sustained and of higher quality. Great stories are about great characters. It is here that the India vs Australia series has had the edge over the others. The story of this rivalry began with the 1997/98 series in India. The contest was billed as Warne vs Sachin. Shane Warne had grown leaps and bounds as a cricketer since the pasting he had received at India’s hands in 1992. Sachin was at the peak of his batting prowess before this series. The cricketing world wanted to see how Sachin would handle Warne. The first test match at Chepauk, Chennai provided the perfect setting for this contest. Shane Warne, on a pitch that aids spinners with sharp turn and bounce, against a team that relished spin bowling. Sachin vs Warne: The first innings was a damp squib, as Sachin got out very early. But the second innings brought the contest to front and center. India had to erase the first innings deficit and the pitch was three days old with rough areas around the batting crease. Navjot Sidhu, one of the world’s greatest players of spin bowling, fired the first shots with his audacious stroke play against Warne. 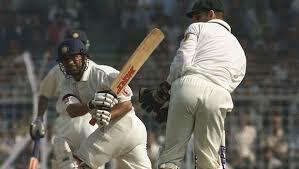 When Sachin came in to bat, India had only a small lead and were quite vulnerable. From this position, Sachin went on to play one of his most free flowing test innings, punctuated with glittering stroke play. The most memorable passages of play in this innings were, when Warne bowled to Sachin from around the sticks and into the rough on the leg side. Warne had made quite a name for himself, bamboozling batsmen with vicious turners out of such rough on the leg side. Sachin responded to Warne’s leg breaks into the rough with sweep shots, that sent the ball soaring into the stands. Warne had to accept defeat and think of new tricks against Sachin. Sachin went on to score 155 brilliant runs and the Aussie cricketing public sat up and took notice of Sachin and his team. Sachin’s batting exploits dominated the series and India won the series 2-1. Around that time, the Ashes had lost its competitive edge and the West Indies were steadily going down in comparison to Australia. Australia found a worthy rival in India and they wanted more of that contest. 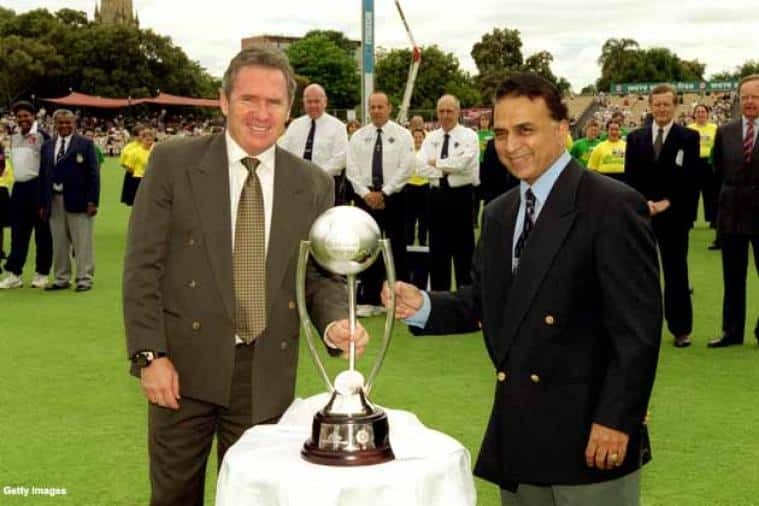 Soon after, Sachin’s ‘desert storm’ in Sharjah added on to the legend and Border Gavaskar trophy became a prized catch. Thus began this storied rivalry, which grew in stature in the new millennium.